Last year, I cried on my front porch steps, while I waited to hand out candy to the neighborhood kids. There was barely a trickle of them as the evening became later, cooler, quieter. I had, quite unexpectedly, gotten left behind. My husband had taken my two sons ahead, while I planned to hunt for candy with my daughter and her friends. 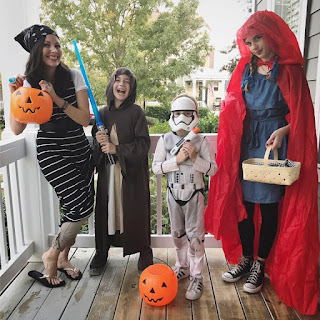 Except, my daughter, who was dressed as Little Red Riding Hood, but was actually a teenager in disguise, suddenly requested that I stay back. She wanted to skip down the deep, dark sidewalks ALONE (with her friends)- clearly embarrassed by my presence. In her defense, she was trying to be kind. But I was completely taken off guard. I. Didn't. Know. What. To. Do. Apparently, this is a real thing. I've talked to other moms who've had the same experience. Apparently, middleschoolers break up with their parents on Halloween night. Apparently, they forget who purchases their costumes and lets them eat candy before bedtime. If you haven't reached this motherhood milestone yet, you have time to make preparations. Get ready. The times, they are a changin'. But it doesn't mean the fun has to end! It's just going to start looking a little differently. 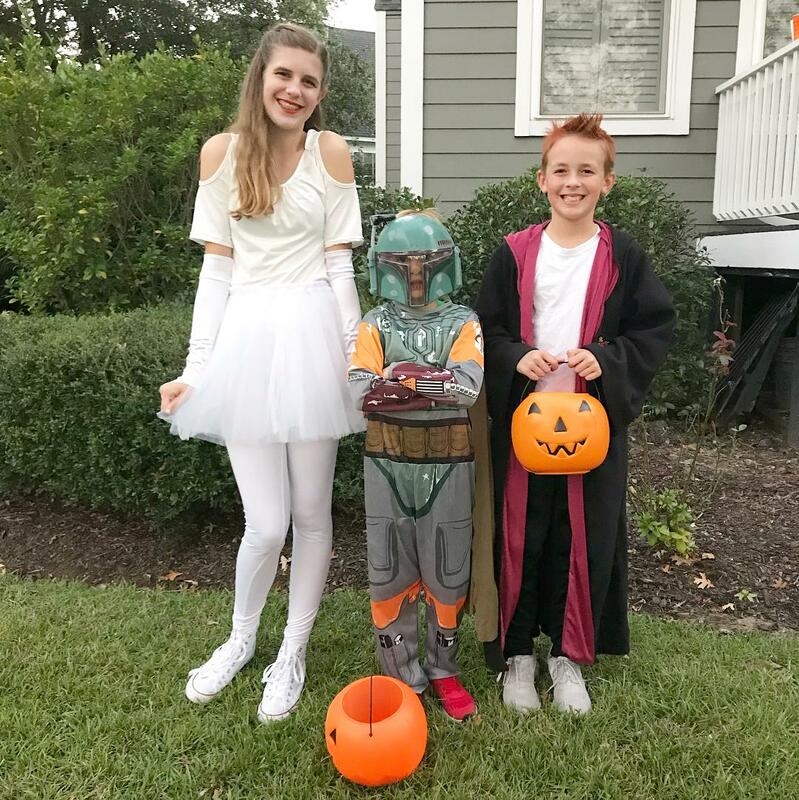 As I was NOT prepared for this emotional parenting downturn last year, I made plans to face Halloween 2017 with a new perspective. We hosted an early dinner party at my house, so that my daughter and her friends could get dressed up together. I conjured up a giant pot of chili, with a side of nachos, apple cider, and butterbeer. I invested in more decorations than usual (Harry Potter-inspired). And I made said teenager promise to pose for pictures before they left. "Memories," I warned. She complied. Of course, it helped that the moms of her girlfriends were suffering from ghosts of Halloweens past as well. Missing their coordinated family costumes and little swinging pumpkin buckets heavy with loot, I made sure they felt as much a part of the night as I could. But onward we bravely proceeded. Into this new world of Teenagerdom. Where they still need you, but not as much. Where they want you, but when no one else is around. Where. This. Is. Their. Last. Year. Of. Trick-or-treating. So 2017 was both beautiful and bittersweet at our home. I canvased the neighborhood with my boys and their friends (no crying on the steps), while my daughter got her precious time away from her humiliating parents. All of the kids loved the extra festivities that happened to land on an otherwise typical Tuesday (as did I). And it turned out to be, possibly, our favorite October 31st ever. 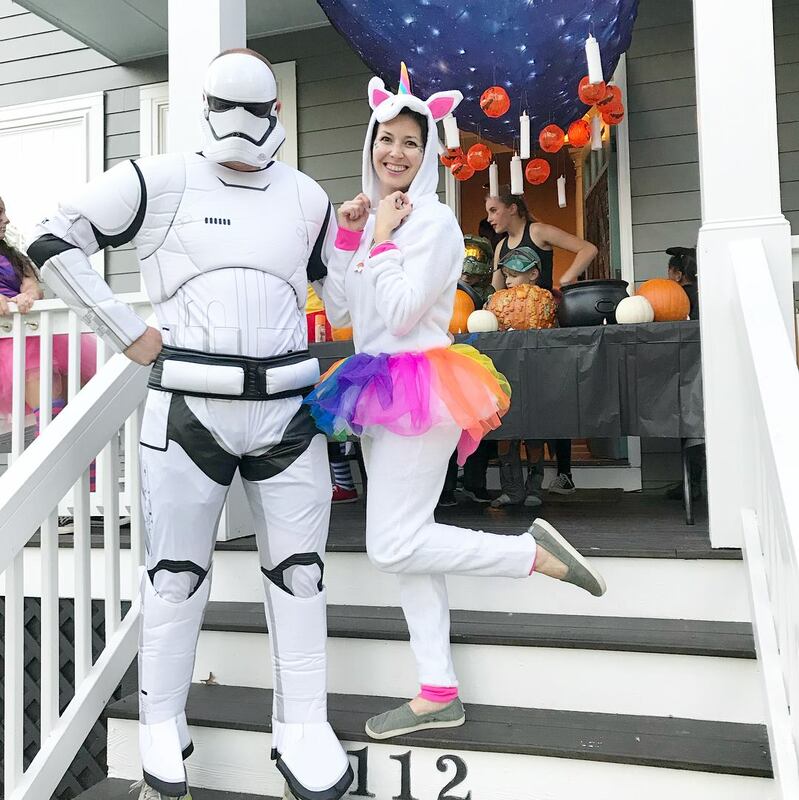 Bonus: My unicorn onesie made the children just uncomfortable enough to be funny..and extremely rewarding. Bwahahaha.